Rodents can be very sneaky around your home, so it’s important to keep an eye and ear out for anything unusual that might let you know that they’re around. Check your attic and basement or crawlspace periodically just in case they’ve been living in there without you knowing about it. There may be waste around to tell you they have been. Air ducts are another common route for them, so note if you hear something moving around or a foul odor nearby one. If any of these or other signals indicate you have a pest problem, just give us a call. It’s better to be safe than sorry, and we can help to protect your home by proofing it against rodents! Our professionals will make their way through your home to find any and all ways rodents could get inside, then use the highest quality steel wool to cover these entrances. This will keep them from being able to chew through as they can with less strong substances. It’s important to allow someone with experience to do this, as some small holes could be missed otherwise and rodents can fit through anything their head will! The use of pesticides to permanently get rid of rodents in your home poses a big problem when it comes to the health of those living inside. Household pets can be severely negatively affected, and even humans can be as well. Too much pesticide in the air lowers the quality and can cause breathing troubles, which is why we instead trap and remove the rodents. Our specialized equipment will carefully capture them and allow us to take them out of your home easily and without putting toxins into your household. 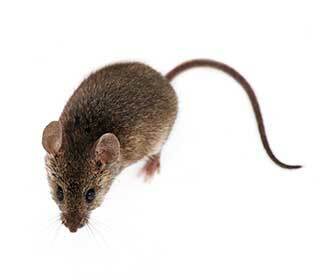 Rather than be stuck worrying about what rodents could be doing to your home, just let us take care of everything! Call Attic Cleaning Simi Valley now. You’ll only wish that you had sooner!